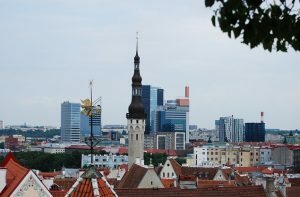 With its healthy economy and robust information technology sector, you may find yourself working with a team of collaborators based in Estonia. While Skype may seem like the obvious choice for virtual team collaboration in Estonia (Skype was developed in Estonia), another excellent communications choice would be to use our pay-as-you-go international conference calling service. Skype certainly fills a need and does it well. However, if you have a global team you may want to add international conference calls to the mix. With our global conferencing service, there’s no software to download, app to log in to, or Internet access required (unless you want to manage the conference using our intuitive tools). Each attendee, whether in Estonia or another country, uses the phone of their choice and dials a toll free or regional access number specific to their country. Where Skype calls are routed over the Internet, and thus subject to packet loss, delays, stuttering, and other quality of service issues, our Estonia global conference calls are routed over fiber optic PSTN telecommunications networks to a modern conference bridge (the same technology as AT&T). When your team meets in one of our global audio conference rooms for a group conference call, you can rest assured that the sound quality will be exceptional. This is tried-and-true telephone technology at its finest. Moreover, we’ve included numerous advanced features, allowing you to get even more out of your team communications. For example, you can manage your conference calls via an online portal or the free Connect app. Need to record your calls or mute a noisy line? No problem, those tools are just a tap away. We’ll even email you an attendance report after each Estonia conference call so that you have a record of each call and who participated in it. You can use ANY phone including PBX phones, landlines, mobile phones, Skype phones, and VoIP “soft” phones. There’s no need to download software. Simply call in and enter your PIN. Everyone can hear one another clearly thanks to PSTN network connections. Toll free and in-country access numbers are available for more than 100 countries around the world. You can use your international conferencing plan for conference calls with team members from any country, not just Estonia. You pay only for the minutes you use. There are no contracts or penalties for non-usage. How Often Should You Host Estonia Conference Calls with Your Team? There’s no right or wrong answer to this question. Some teams can work effectively with minimal voice interactions while others may touch base on a daily basis. By choosing a pay-as-you-go service, you have the flexibility to host your global conference calls as needed. For example, if you’re working on a complex project with a looming deadline, you may need to collaborate via Estonia conference calls every day, or several times a day, as you finalize the details. Once that project is complete, weekly or biweekly conference calls may be sufficient. With a pay-as-you-go plan, you do not need to worry about going over your limit or paying for services you’re not using. Working with a global team doesn’t mean working in silence. Use our pay-as-you-go global conference calling service and collaborate with your fellow team members in real time. Learn more about Estonia conference calling here.